Past Shepherds Bred By US! Welcome to our Website! 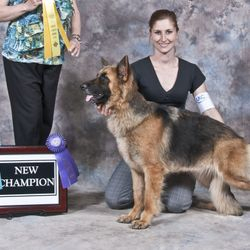 We are a family based small breeding program of top quality AKC German Shepherds. 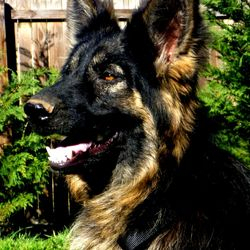 We work with many lines to produce the best German Shepherd for your family, work or therapy. Our puppies are raised with our own small children and played with daily. 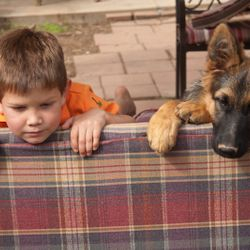 We enjoy showing and training our german shepherds with our children. 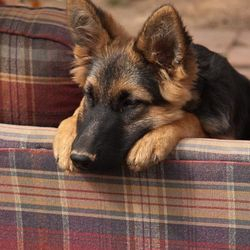 We take great pride in our German Shepherds, our Shepherds are raised by children for children. 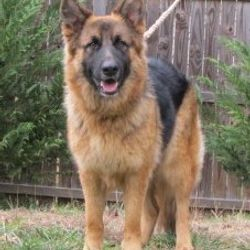 We are a small Family Based Kennel of German Shepherds, located in the Beautiful Blue Ridge Mountains. 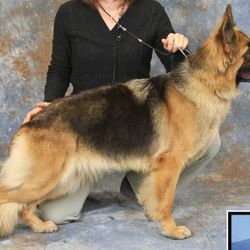 We have been breeding German Shepherds since 2006. 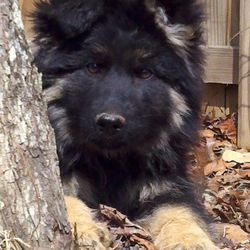 We fell in love with Shepherds with our first Shepherd, Mekko, and so did our young son, Riley. She had so many onlookers, and so many people asked us wether we were going to breed her. So after lots of research we decided to. We have enjoyed breeding quality Shepherds since. Our dogs are not raised in kennels, they are our family pets. We take them camping and hiking with our family. 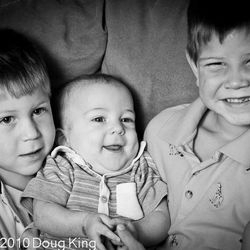 Since we began we have added to our family, we have three sons now, Riley 5, Brodey 3, and Avrey 6 months. We have also added to our shepherds, we have decided to focus on Long Haired Imported lines. Our puppies are still raised in our home and our Shepherds still sleep in our bed. Our puppies are raised by our home, our childern play with them daily. This is a small FAMILY based Kennel. Our GSD's are raised by childern for childern.